If you are shopping for a Honda Odyssey near Atlanta, GA come to Ed Voyles Honda. Browse our online inventory, see MSRP, vehicle details, MPG and trim options. The Odyssey is offered in a variety levels including LX, EX, EX-L, Touring and Touring Elite. 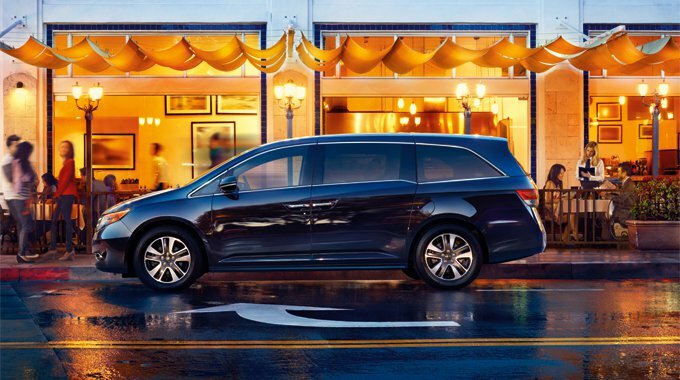 With so many options available we are sure to have your perfect Honda Odyssey. Atlanta area car shoppers will find a great selection of new Odysseys to choose from as well as expert assistance with financing or leasing options. Be sure to ask about our frequent Honda Odyssey incentives and dealer special offers available to help you save money. In addition to our new Honda sales and leasing we also provide comprehensive Honda service, repair and a well stocked Honda parts department. When it is time for a tune up, oil change or wheel alignment bring your Honda Odyssey to our Atlanta area auto service center. At Ed Voyles Honda we will take excellent care of you and your vehicle.